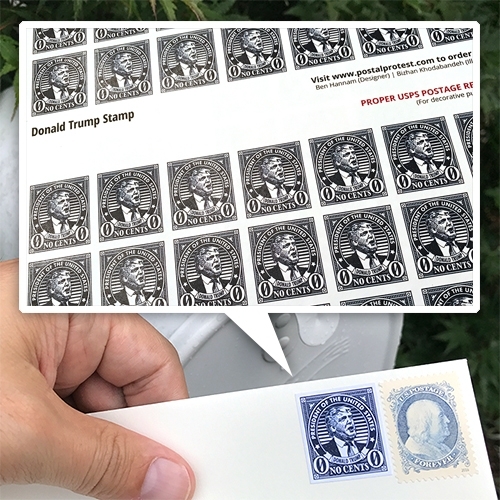 Postal Protest - "No Cents" decorative stamps to add to letters. 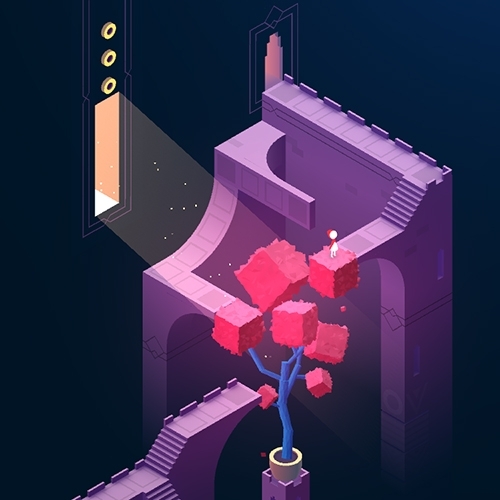 Monument Valley II game just launched! Even prettier puzzle game that the first. The trees are an amazing addition. 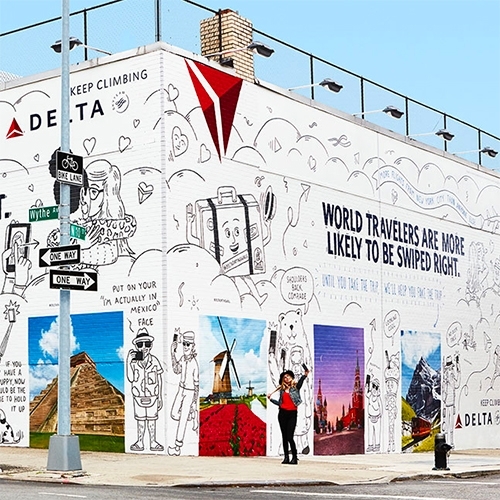 The #DeltaDatingWall in partnership with Tinder on Wythe in Williamsburg, Brooklyn by Wieden + Kennedy New York. Fun idea - "World travelers are more likely to be swiped right." 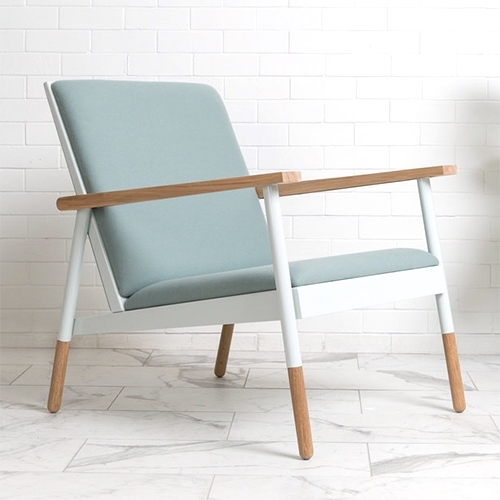 Haven Lounge Chair in Jade & Oak by Revolution Design House. New furniture line, all designed and made in Portland! 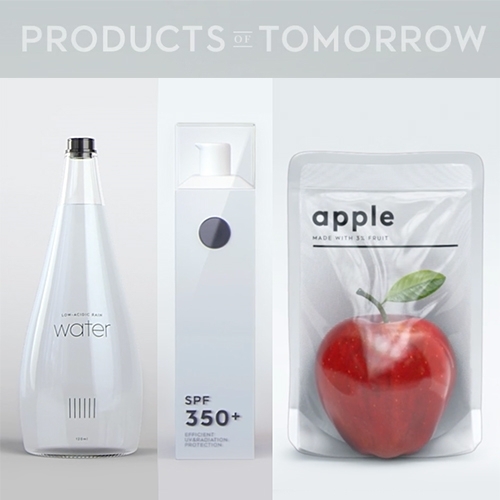 VIDEOThe Nature Conservancy "Products of Tomorrow" - a dystopian warning/peek into the possible future. Lemon Laine Oil Bar in collaboration with Clary Collection. 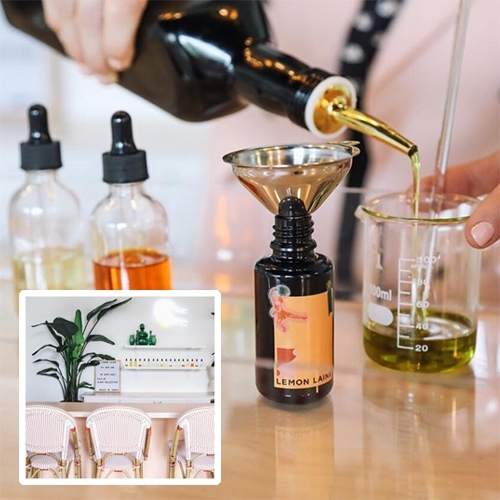 If you're in Nashville, you can make an appointment and they will create a custom blend of seed, nut, and plant oils to meet your needs. Is this the new custom perfume bar? 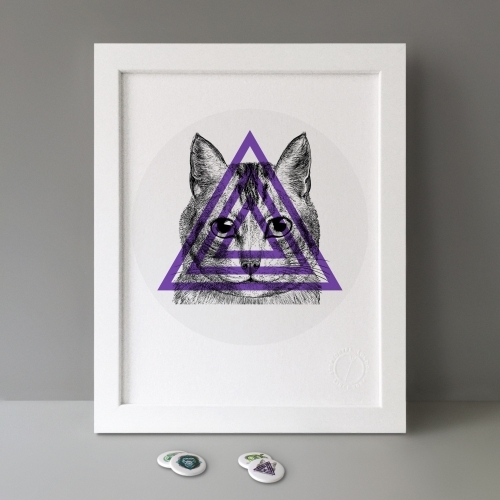 49 beautiful Button Badge Motif Prints were added to Stereohype's growing collection of Fine Art Prints featuring a selection of circular 7" artworks from their popular 1245-strong 1" badge collection by over 350 international talents (shown: Jeff Knowles). 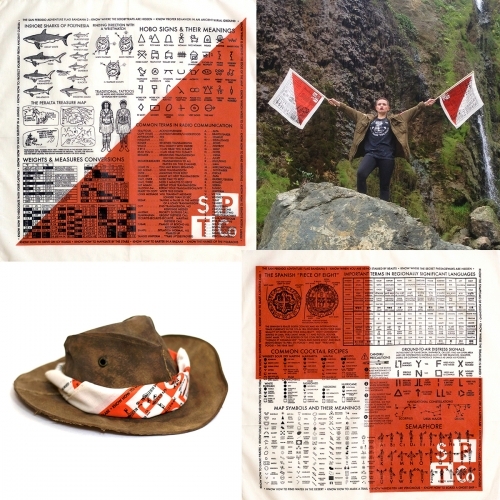 The "Adventure Flag" bandana series from the San Perdido Trading Co - not just bandanas that double as signal flags, each (of 3 designs) also reads like an adventure instruction manual! VIDEONIKE Unlimited Stadium in the Philippines. 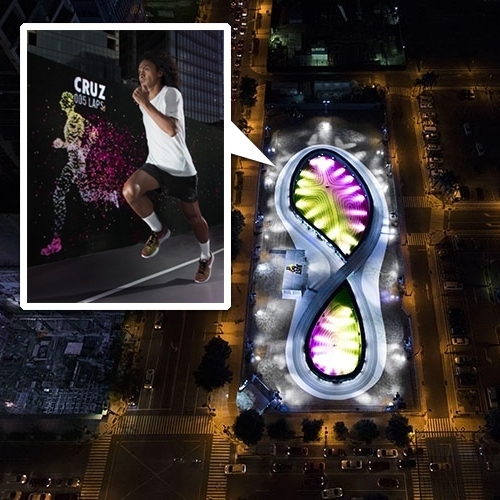 Beautiful running track design inspired by a shoe sole and infinity symbol, but more interesting is the digitized version of runners that run alongside (and challenge) the real runners. 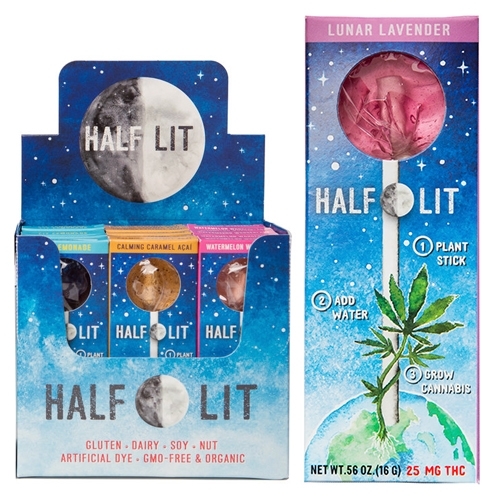 Half Lit Cannabis Lollipops have a cannabis seed in the stick! 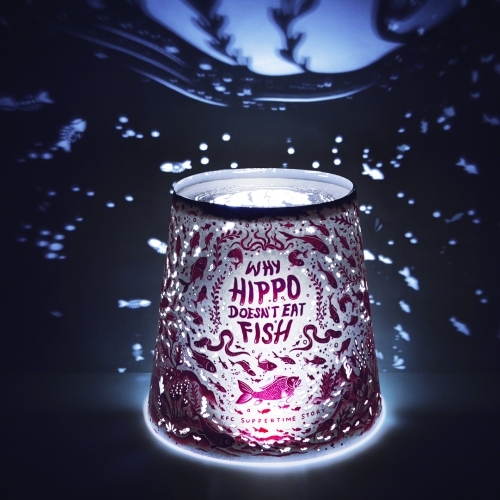 Fun packaging and product idea. Nice hemispherical lollipop shape. FEATUREDNOTCOT in Nashville. 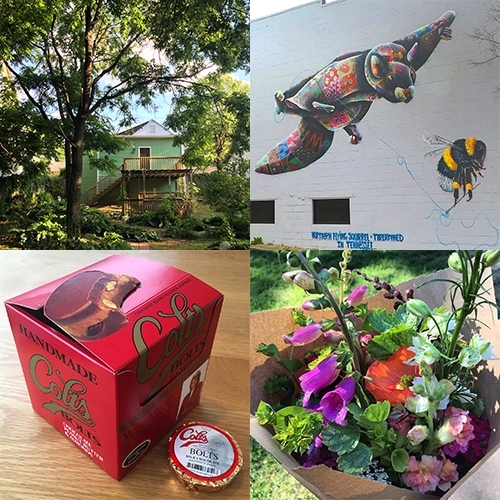 A look at our latest Project House in Lockeland Springs, East Nashville and other discoveries and adventures - From Colt's Bolts to cute new bars tucked in adorable houses and more. 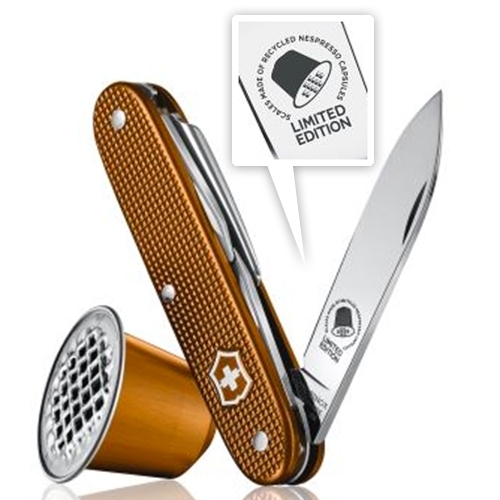 Swiss Army Pioneer Nespresso Limited Edition Pocket Knife features scales crafted from aluminum Nespresso coffee capsules. 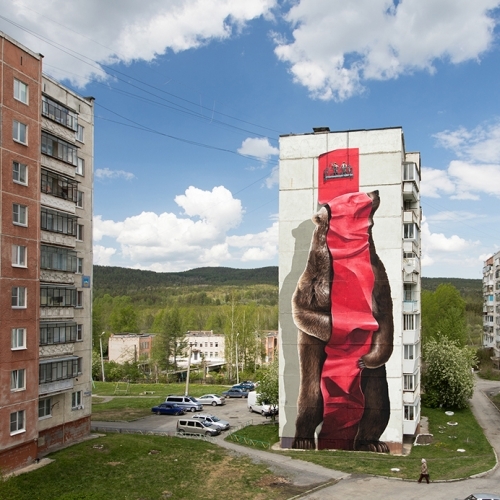 "Baring machine" new mural realized by swiss duo Nevercrew in Satka (Russia), for the Satka Street Art Festival. Vibrato - Birthed from an experimental college project, designers Ashley Langan and Ismael Sanchez transform your favorite sounds into unique works of fine art. This amazing bento box is made from 100% ocean plastics found on Australian beaches. Supercyclers has a crowdfunding campaign with Jasper Morrison and Formafantasma designing new objects from this reclaimed material. 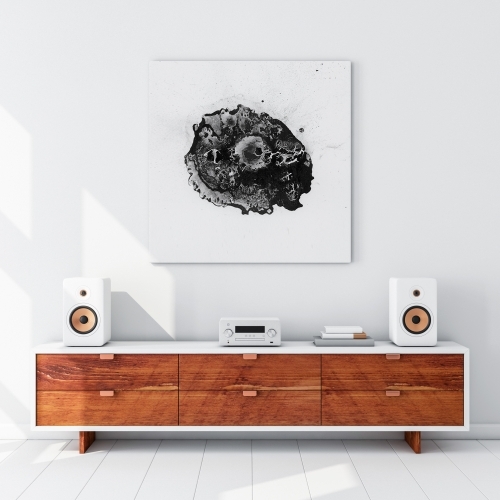 The Bellaphone collection is a range of unique-looking speakers, which have been constructed from fumed oak tequila barrels. 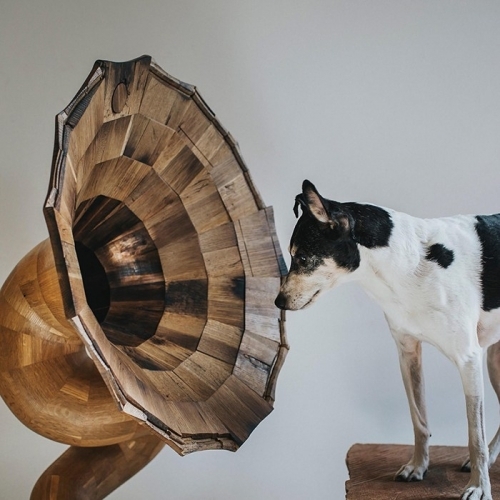 These gorgeous speakers are made by Jordan Waraksa from Fiddle + Hammer, a Milwaukee-based furniture company. 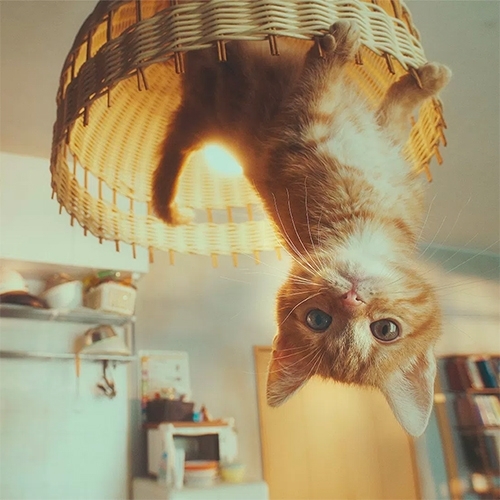 It's already spinning, why not make it animated? This Zoetrope Fidget Spinner by designer Jonathan Odom lets you get out that nervous energy and be distracted by a cat video all with the same device. 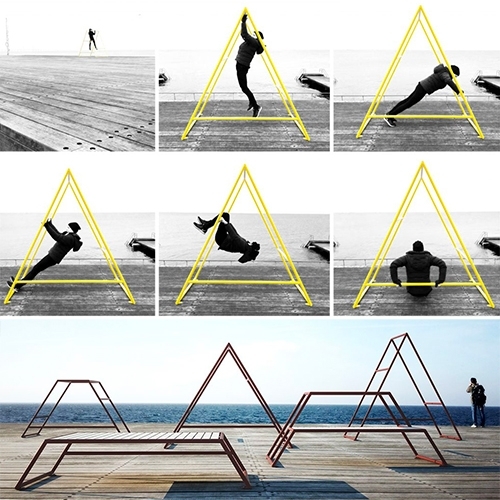 Kebne Outdoor Gym designed by Kauppi & Kauppi for Nola. "Designed with outdoor fitness in mind, Kebne is a system of three-dimensional frames for low-impact resistance training, overall body conditioning, stretching, flexing, fun and play." House of Birds at the Triennale di Milano from design week. 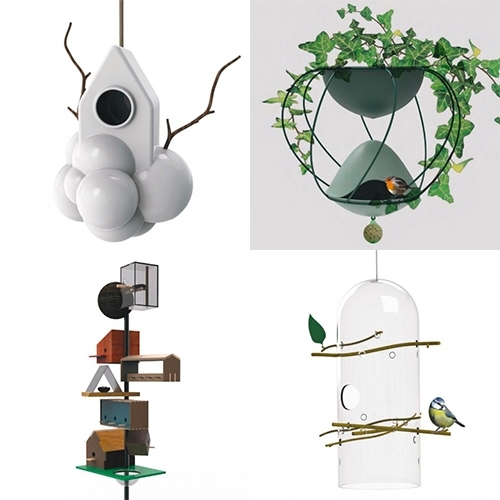 Great gallery of designer bird houses at Abitare. 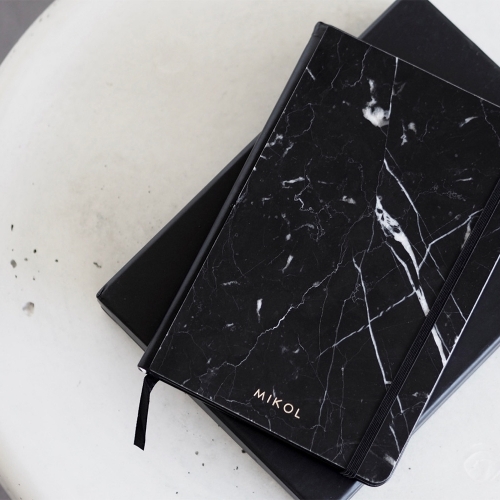 Mikol Nero Marquina Marble Notebook - World's first real marble notebook journal. Guarantee that no two pieces will ever be the same. 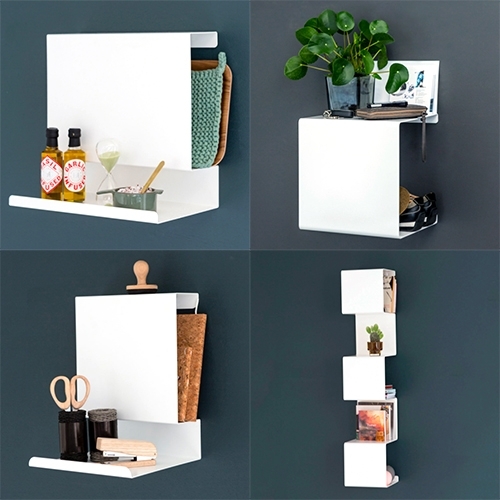 Also available in Carrara White Marble. 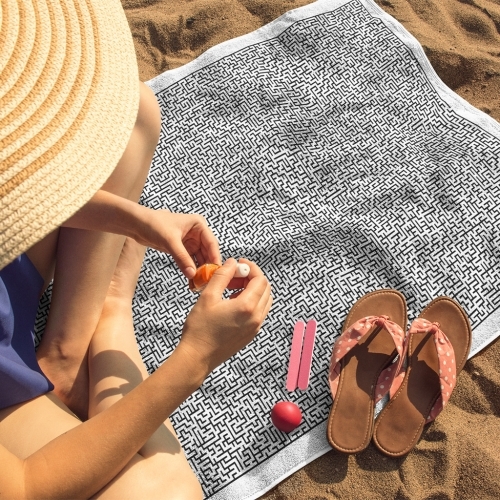 Solehab Maze Beach Towel. 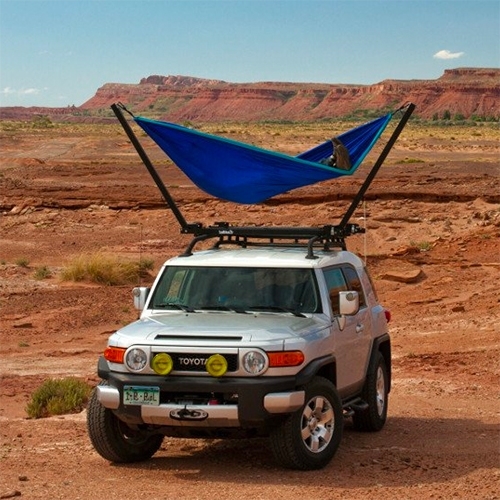 Single sided print, 30 x 60 inches, printed on 100% super-soft polyester microfiber. Manufactured and printed in the USA. 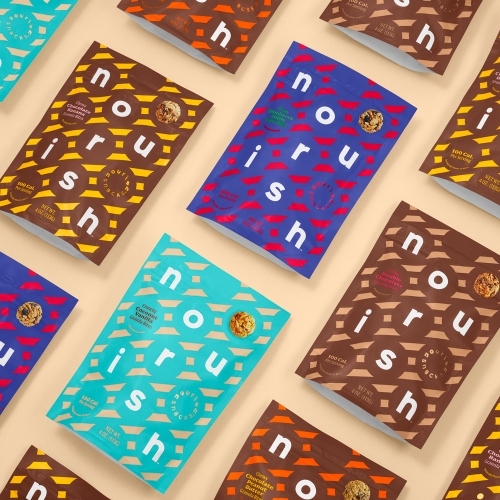 Nourish Snacks packaging by COLLINS. 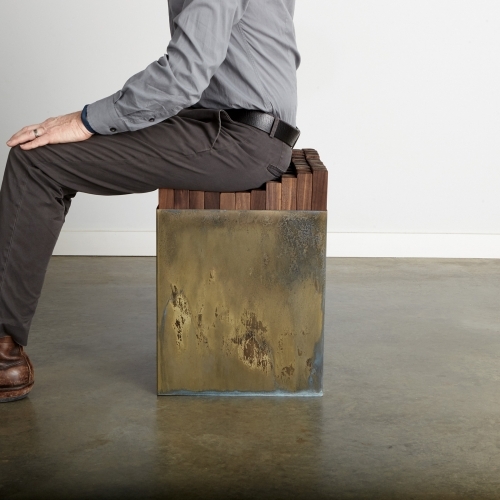 Each piece of wood in the STIX single bench by STAY floats freely on a soft platform, the group supporting and molding itself instantly to the weight of the user. 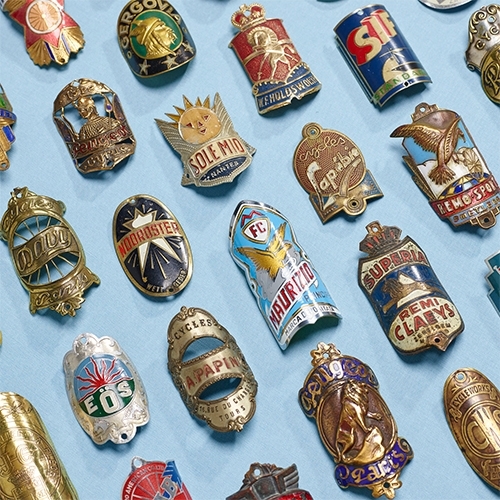 Jeffrey Conner has quite the Flickr collection of vintage bike badges! Design without waste. 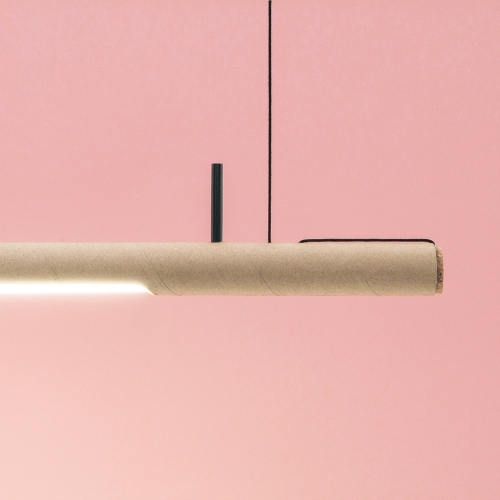 R16 is both packing material and elegant luminary. Designed by studio Waarmakers, it is their homage to the beautiful and versatile cardboard material. CampMojis from BioLite! 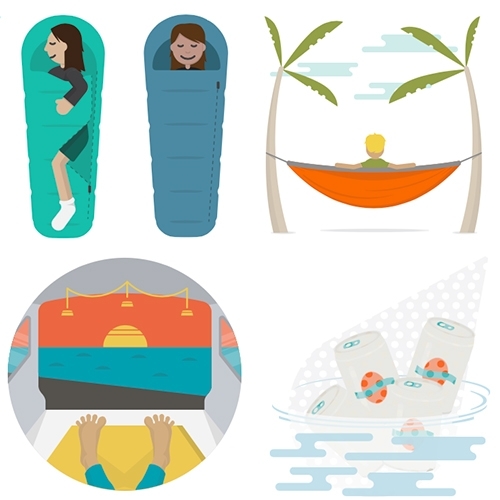 Everything from River Beer, Van View, and Sleeping Leg to Hammock Happiness, Fire Trance, Pee with a View and more... Spot the tiny BioLite Sitelights in the CampMojis? 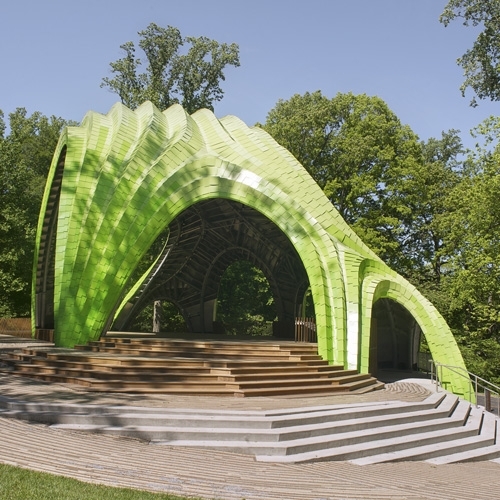 The Chrysalis is an amphitheater designed by NYC art + architecture studio MARC FORNES / THEVERYMANY that is both distinctive and camouflaged within its park surroundings. 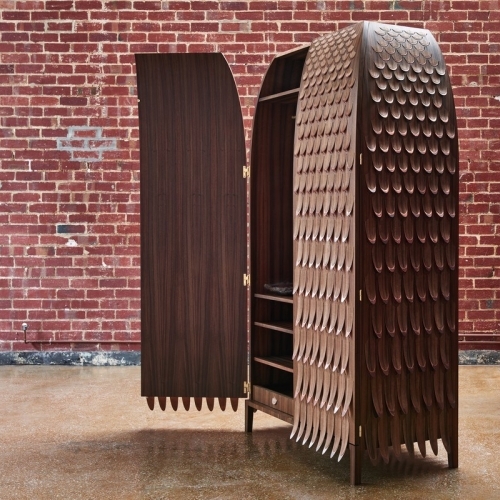 Trent Jansen’s Broached Monsters is a curious collection of furniture takes the shapes and textures from the deep depths of Australian mythology, transforming designs into hulking wardrobes and unique cabinet creations. 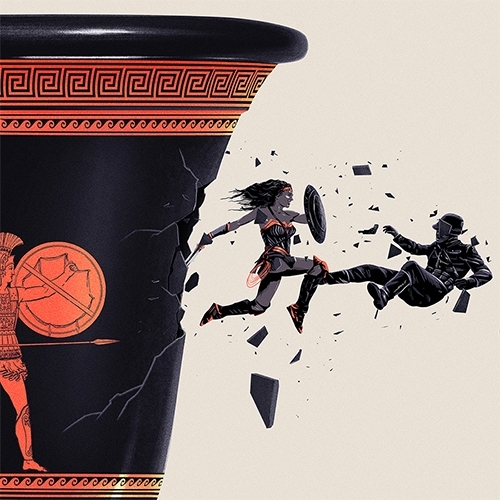 VIDEOKFC limited edition bucket sleeves create an interactive storytelling experience. When the phone is placed face-down on the table, the phone's proximity sensor automated the selected audio story, bringing the bucket to life with sound, light and vibration. 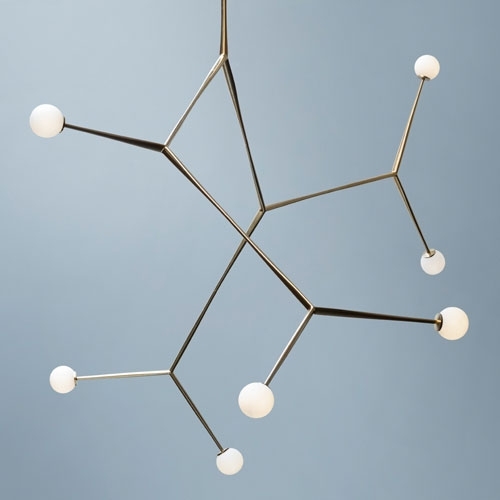 Ligo, a systemic modular chandelier by Jailmake. The triad of modular branches make up the fundamental framework of the chandelier. Tapered at one end, they attach via a hidden screw fixing to form any number of arrangements. Adult Swim Singles 2016 - the graphics! (especially in motion!) 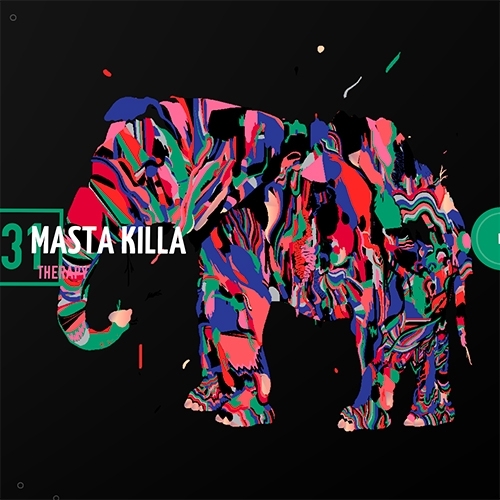 In addition to downloading the music - you can also purchase the artwork as prints, tees, and more. Nike Power Legendary Training Tights come with a pocket for your phone, to make hands free workouts a bit easier. 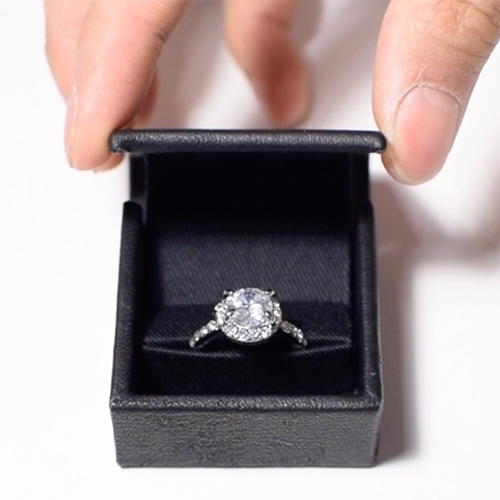 Hudson is a compact ring case that is roughly the size of a matchbox. 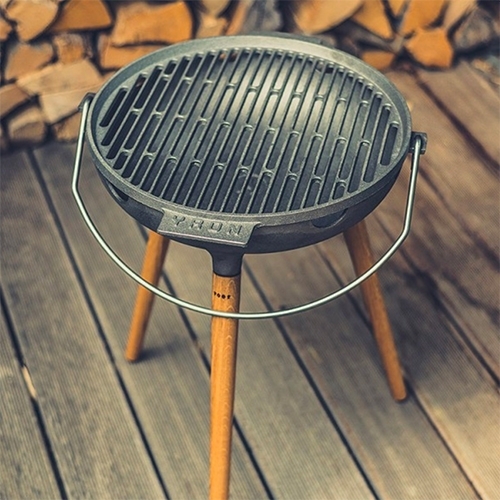 It fits easily in the pocket and incorporates a beautiful pop up effect. Designed by Andrew Zo. 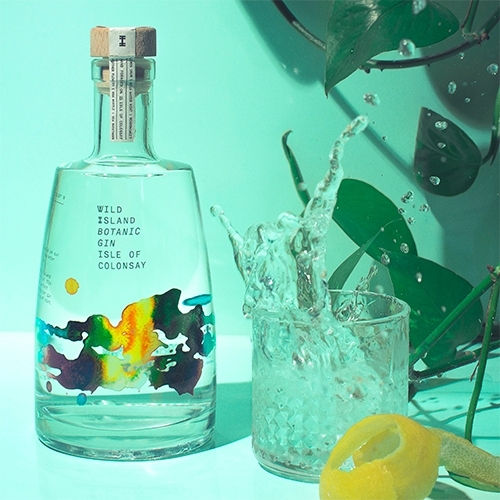 Wild Island Botanic Gin - Isle of Colonsay. 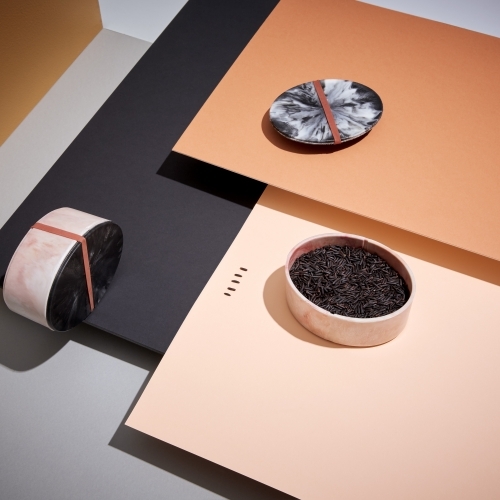 Lovely packaging/photography from Thirst Craft. 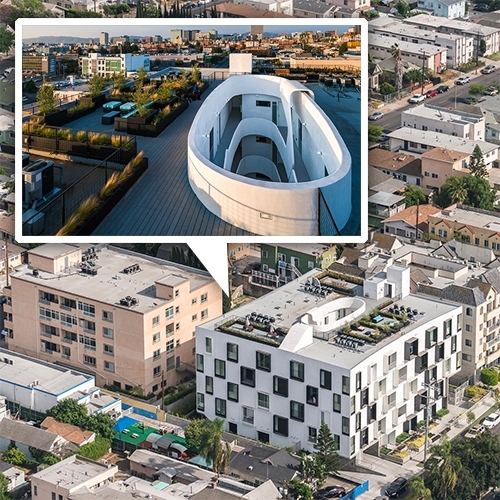 Lorcan O'Herlihy Architects (LOHA) Mariposa1038 68,000 sqft, 32 unit apartment building in Koreatown Los Angeles has an interesting facade, roof top deck/garden, and funky round courtyard. 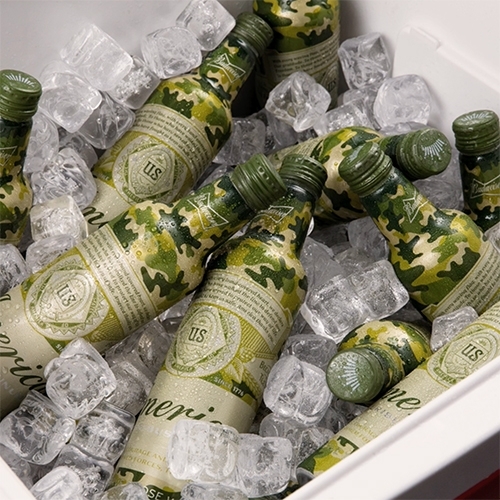 Budweiser goes camouflage with aluminum bottles and cans this summer. For every Budweiser America bottle and can sold May 22-29, a portion of the proceeds will benefit Folds of Honor. 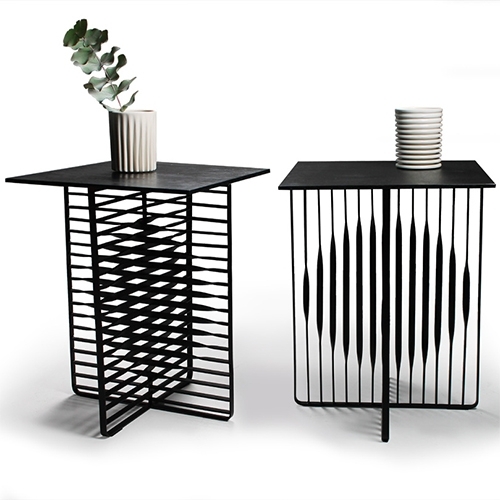 Henri Judin Sun & Moon Tables - " The illusion of round shapes on the surface of the horizontal and vertical bars is created by twisting flat steel bars using traditional methods." 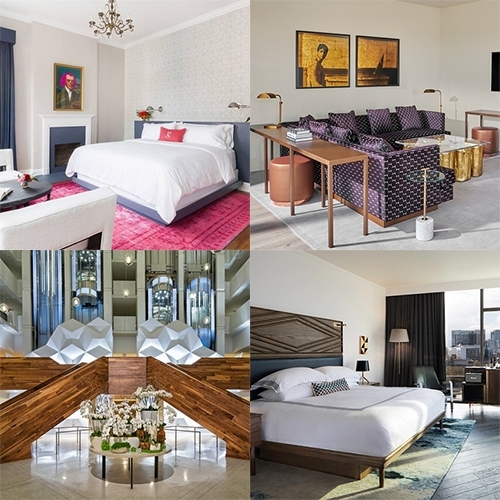 Nashville, TN has a sudden surge in new boutique/luxury hotels - the 21c, Germantown Inn, Thompson, Kimpton, and an updated Sheraton Grand add to the growing list (with so many more in the works). 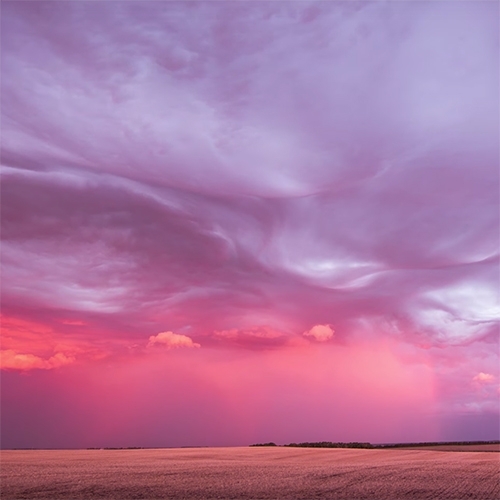 Nice roundup from Fathom. 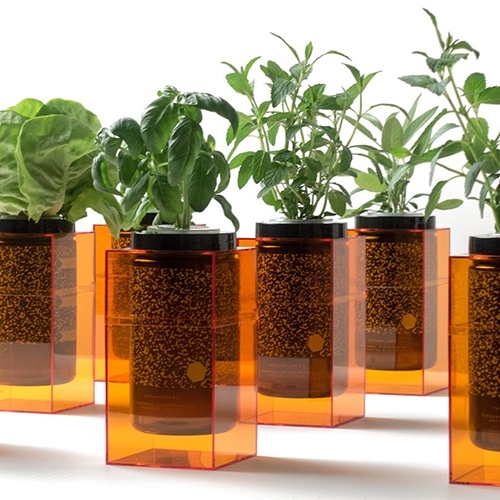 Spacepot by Futurefarms is hydroponics beautifully simplified. Grow bigger, healthier and farm-fresh herbs right at home. This planting system takes the guesswork out of keeping your plants alive. 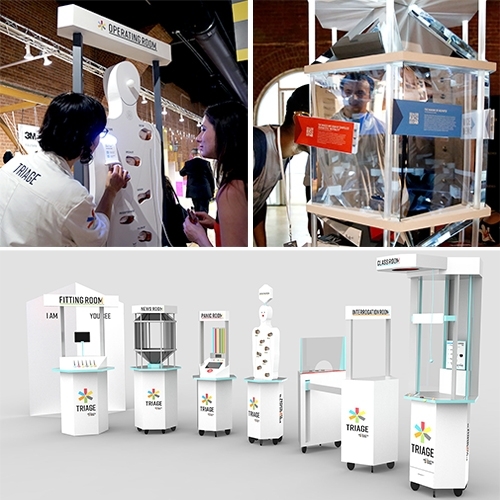 TRIAGE by SVA's MFA Products of Design Program at NYC Design Week is an interactive exhibition that reframes contemporary urgencies through the lens of design through a series of fascinating installations.